Cathy Carr, FAPLD, founder and principal designer of GreenHeart, LLC, collaborates with homeowners, architects and builders to create memorable gardens that enrich people’s lives. Essentially, we are space makers, so most of our designs include both hardscape (for entertaining and circulation) and lush plantings. We use sustainable practices and as many native plants as possible, with the overall goal of creating outrageously beautiful spaces. GreenHeart’s specialty is creating outdoor spaces that look terrific seasonally, work well spatially, and feel great to be in. Contact us for a brief consult or a major renovation. 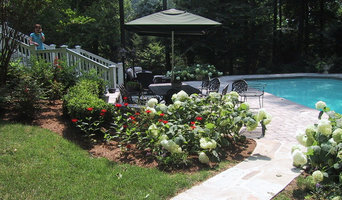 At Honeysuckle Nursery & Design, you'll get trusted landscaping design service from longtime Annapolis residents who have over 30 years of experience and have been open since 1997. With over 23 years of experience, BR Design Build is a full-service landscape design-build business with a focus on detail & quality. We specialize in resort style backyard environments. At GardenWise, our design work reflects our respect for the innate beauty of the environment combined with our clients’ needs. We balance natural elements of stone, plants, and water with custom built features to create a special and unique garden experience. We practice a “hands-on” approach to ensure the designs blend Mark’s creative visions and practical knowledge with the client’s desires. The results are a one-of-a-kind creation that enhances your lifestyle, increase your home’s value, and stays within your budget. Mark can be seen on HGTV as a landscape design expert giving advice and “how-to” tips on the network’s signature series, Curb Appeal. 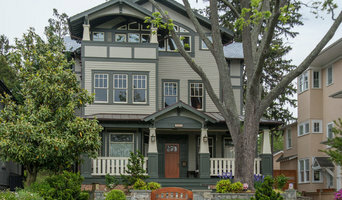 His design work has been featured in national publications, including Better Homes & Gardens, Southern Living, Traditional Home, Cottage Living, Renovation Style, and Remodeling; regional publications and programs have included The Washington Post, The Washington Times, Washington Spaces, Chesapeake Home, Home & Design, and NewsChannel8’s Let’s Talk Live. Continental Landscaping was established in 1991 and specializes in the custom design and installation of each client’s project focusing on individualism, needs and style. Molly Scott Exteriors is a boutique landscape architecture firm that provides full service design to our clients. We strive to create meaningful spaces that speak not only to our client’s vision but to how the space will function now and in the future. At Garner Exteriors, we offer a complete range of services from grounds maintenance to designing and landscaping outdoor living spaces that suit your lifestyle! Since 1965, TDH Landscaping has been helping homeowners design and install their landscapes. TDH can provide the necessary maintenance to keep those outdoor areas looking their best throughout the year, but also in educating our clients in the proper ways to truly bring out the natural beauty of their outdoor areas – to truly see their personal vision come to life. Every homeowner is unique, and so their landscapes should be an extension of their own personality and of the home itself. As a custom landscaping firm that stands apart from the rest, we maintain an equal balance of quality and distinctiveness through communication, making it a point to listen to each individual client’s unique needs and vision. The three main pillars of our reputation are quality, experience and trust – and these are the qualities that define TDH Landscaping. We believe simply offering a price tag for a service request isn't enough. We take the time to listen, understand our client’s needs and offer solutions that make sense. With us, education and guidance is key to meeting your personal needs. If you have a specific project goal in mind, we offer both years of experience to assist in the complete design from the ground-up, and the hands-on services to make it happen. As Maryland’s premiere landscaping firm, we not only remain flexible in meeting with prospective clients face-to-face, but can visit your home at your own convenience or a drive-by visit to assess recommendations for your landscape’s design and future maintenance. Based upon the work required to make your personal landscape vision come to life, we can work in stages, consulting and educating every step of the way to be sure that your goals are perfectly and beautifully met. For over fifty years, we have made it our ultimate goal to provide each unique landscape with a personal, curated touch – all while offering the knowledge to keep your home’s outdoor areas consistently beautiful through every season. 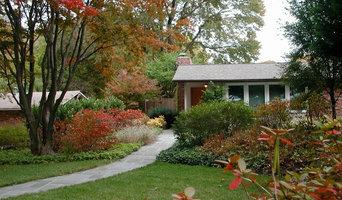 Roland Oehme Landscape Architecture is a landscape architecture practice based in Baltimore, MD. Our primary passion is creating extraordinary places for our clients. We have a deep respect for nature and a strong design emphasis that combines artistic beauty, sustainability, and regenerative design. We have designed grass and perennial gardens, edible plant gardens, native plant gardens, permaculture gardens, pollinator friendly gardens, rain gardens, roof gardens, and many more. We work with residential, commercial, educational, and institutional projects, and are open to working on any type of project. Garden Appeal founded by Nathan Camp with a degree in Horticulture and landscape design and trained in public Horticulture at the U.S National Arboretum has been creating fine gardens and outdoor living spaces in Washington DC, and Northern Virginia for discerning clients. We create timeless landscapes and outdoor living spaces that enhance your home's architectural style and your lifestyle. Relax after a long day in your lush backyard oasis, or invite friends over and grill. Extend the patio, add a water and/or fire feature that blends into your home's architectural style: Native, New American, classical/formal, cottage/veggie, Asian Feng Shui, natural/xeriscape or modern. Plants, stone and focal points are selected and arranged in an appealing composition of size, color and texture to create a living work of art. Enjoy a garden full of singing birds, butterflies, and floral fragrance. Garden Appeal knows your landscape requires planting the right plant in the right place. Call Garden Appeal and let us get started on creating an attractive, feature-filled outdoor living space for you today. Landed is a full service landscape and hardscape firm, focused on designing and building gorgeous and functional outdoor living spaces, and then caring for them with our premier maintenance services. Our clients enjoy working closely with our in-house horticultural specialists and talented design team, and exclusive client programs that feature worry-free care. Our mission is to build strong and lasting relationships with our clients by providing quality work and exceeding their expectations while adding value to their home. We take pride in paying attention to the details of every design, installation and maintenance project.